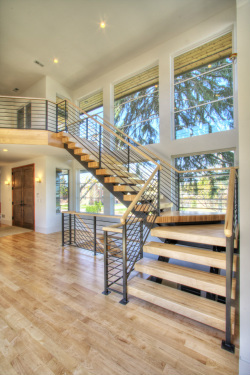 Owned by Dave Van Eps since 1989, Masterpiece Stair, Inc. has been building quality staircases ever since; serving our customers in the Denver area for over two decades. As a family run company, it has always been our mission to give our customers the personal attention that they deserve: with quality craftsmanship to last years brings certain value to each set of stairs. We strive to provide each person and company we come in contact with personal service and an outstanding product we can be proud of. Many of our craftsmen have worked at Masterpiece Stair Inc, for over 10 years, assuring consistent quality to each project. We offer stairs of all caliber from carpet grade to hardwood elegance and can adjust construction design to fit different style and complexity. Please enjoy our photo gallery complete with stair descriptions, and call us with any questions you may have. We would love to have the privilege of serving you.